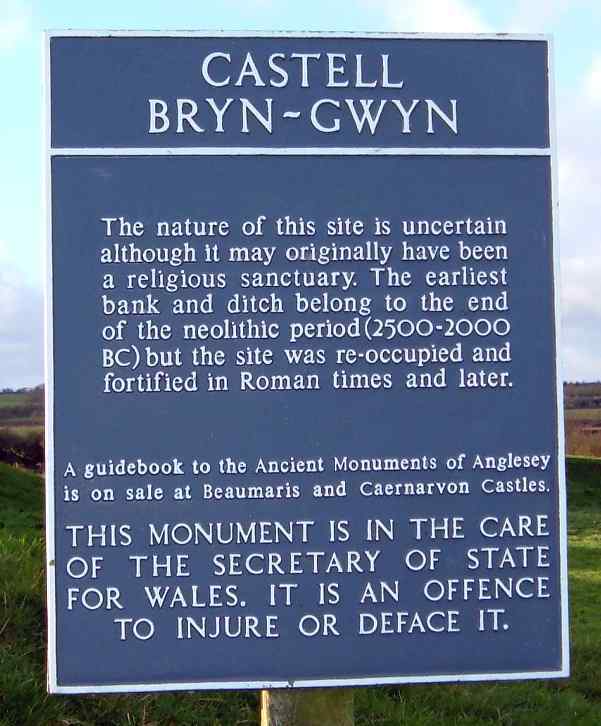 Castell Bryn Gwyn ancient settlement - an ancient monument on the island of Anglesey. Castell Bryn Gwyn SH 464671. Located just outside Brynsiencyn. Believed to be an ancient religious sanctuary dating from 4500BC. I would guess the diameter of the circle to be a couple of hundred feet (ish). 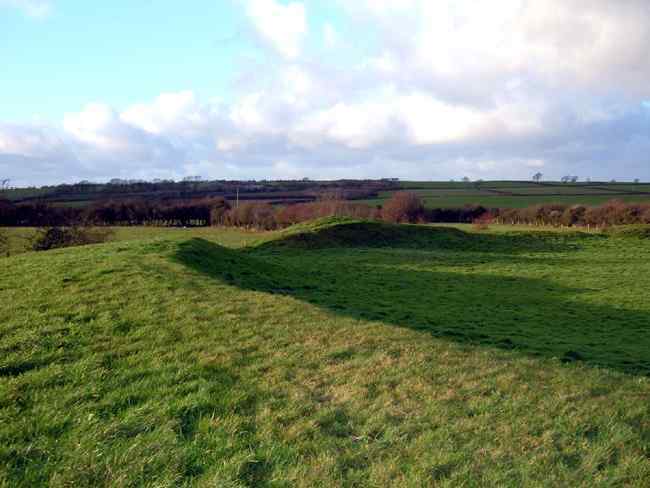 When I visit these sites I often wish that the Gwynedd Archaeological Society would have the funding to uncover this type of site so we may have a better look and therefore understanding of what they might have looked like.